Digitisation is knocking on our front door – is SA ready to answer? South African universities will have to pay urgent attention to the international trend of digitisation of the humanities to prevent students from soon knowing more about this field of study than lecturers themselves. This is according to Prof Ray Siemens of the University of Victoria in Canada, during South Africa’s first international workshop on Digital Humanities (DH). This workshop, presented by the North-West University’s Potchefstroom Campus, focused on the digitisation of the various disciplines in the humanities. This digitisation includes, among other things, ancient and modern languages, archaeology, history, communication studies, the arts, music, anthropology, etc. Siemens quotes his co-editor of their book, A Companion to Digital Humanities, Susan Hockey: “Through the Internet, humanities computing is reaching a much wider audience, and students graduating from the new programs being offered will be in a position to work not only in academia, but also in electronic publishing, educational technologies, and multimedia development. Throughout its history, humanities computing has shown a healthy appetite for imagination and innovation while continuing to maintain high scholarly standards. Now that the Internet is such a dominant feature of everyday life, the opportunity exists for humanities computing to reach out much further. Our tools and techniques can also assist research in facilitating the digitization and encoding processes, where we need to find ways of reducing the costs of data creation without loss of scholarly value or of functionality”. The vice-chancellor of the NWU, Prof Dan Kgwadi says the prospects of DH look attractive and is giving this project his full support. The Centre for Text Technology (CTexT) at the North-West University’s Potchefstroom Campus is geared for this and is already bolstering the development of DH in South Africa. CTexT is an internationally recognised, innovative research and development centre for language technology resources, products and software. CTexT, which celebrated its tenth anniversary last year, focuses on the development of applications and resources (e.g. spelling and grammar checkers, machine translation systems and data development) that establish easier interaction between people and computers and innovative approaches to the processing of language. De Lange also intimated that negotiations with international experts to present a week-long workshop, similar to summer schools in North America and Europe, at the NWU in 2016, have reached an advanced stage. 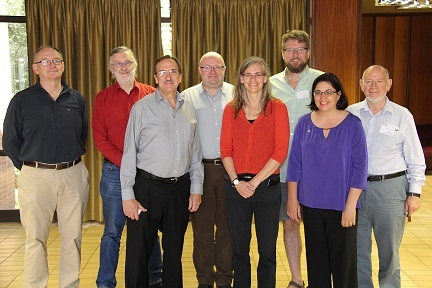 A national steering committee, headed by Prof Justus Roux, has already been appointed to draft the rules of a to be established DH association with the provisional name Digital Humanities Association of Southern Africa (DHASA).